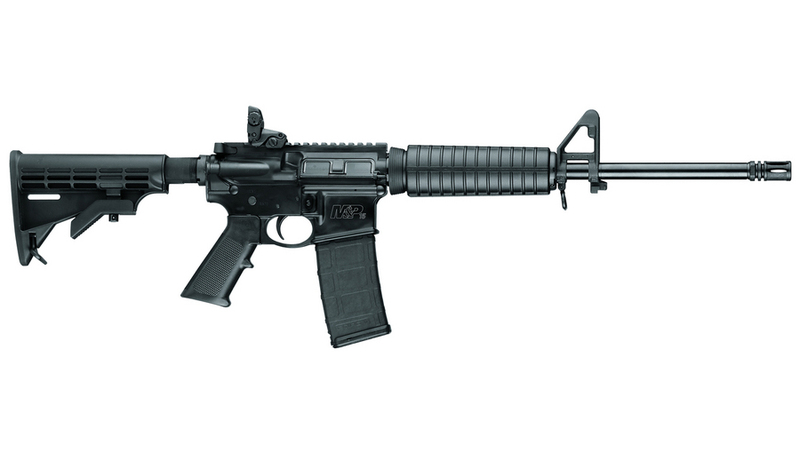 The brand new M&P15 Sport II from Smith & Wesson is the newest addition to the M&P Rifle line. The M&P15 Sport II rifle was developed with all the same great features found in the original M&P15 Sport, now with the addition of a Dust Cover and Forward Assist. Product features include a Magpul Folding MBUS rear sight and Adjustable A2 Post front sight, 6-position telescoping stock, 7075 T6 Aluminum receiver and 4140 Steel barrel with a 1 in 9” twist. The new M&P 15 Sport II also features a Forged, Integral Trigger Guard, Armornite® Finish (Durable Corrosion Resistant Finish), and a Chromed Firing Pin. Each rifle is shipped with a 30-round Magpul PMAG. I bought the M&P15 Sport II because I had been wanting an AR for some time, and could never afford one. It was $599 when I could make the purchase and very glad I did. I have since changed out some of the standard furniture with Magpul parts. I have added a ctr stock with a thicker but pad, rubber Magpul grip, and a Magpul handgaurd. I love the feel of this gun now way more than when I bought it. This gun has performed perfect everytime I have been to the range. That's the only place I have shot it so my limit has been 25ft. I have shot 223, both steel case and brass, and 5.56 through it with not one single problem.. none. I was more accurate with 5.56 brass case. Was keeping it in a 5 inch circle at 25ft all day shooting freehand. It is very accurate. With a rest the groupings were much tighter and I was very pleased with how it shot. I also added a flat wire spring to the buffer tube and that did help with the recoil and staying on target for faster shots. But this gun shot fine and very accurate. I wanted to correct my first review where I said 25ft. It was 25 yards, 75ft. The Sport 2 is still shooting fine with not one single problem yet. I love it.